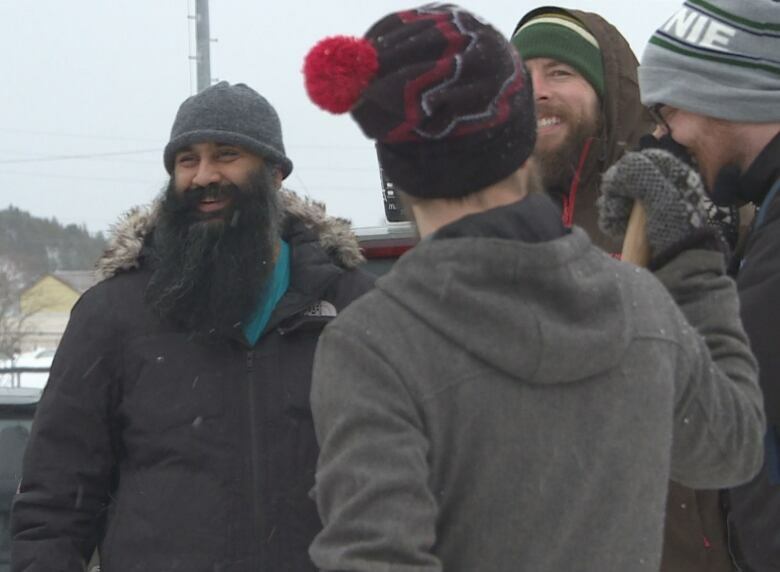 Organized by Project Kindness, a group of people hauled out the shovels to free cars and driveways from the snow. The kindness of strangers may not be able to melt away the snow, but it can certainly clear it away. Some of it, anyway. 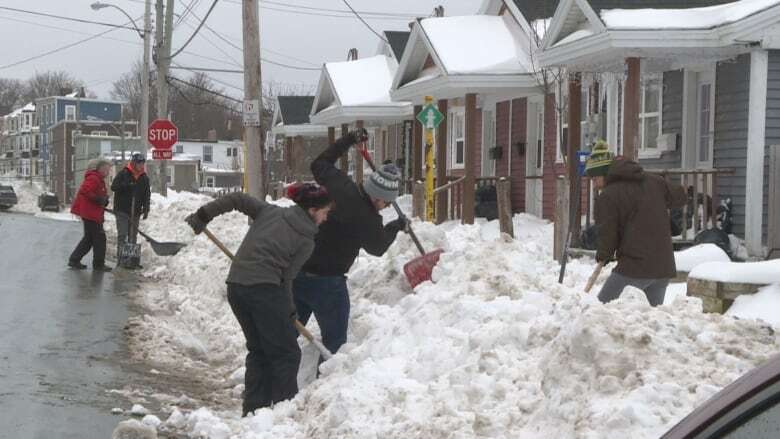 A group of about 10 people gathered in downtown St. John's on Saturday morning to help clear away some of the snow for folks who may not be able to clear it themselves after a two-day blizzard buried the city in 46 centimetres of snow earlier this week and a new storm set to bring 40 millimetres of rain and high winds moves in. "Some people just can't get out to do it, some people are probably away ... and when they come back, hopefully now they'll see that their car is shoveled out, or their driveway. 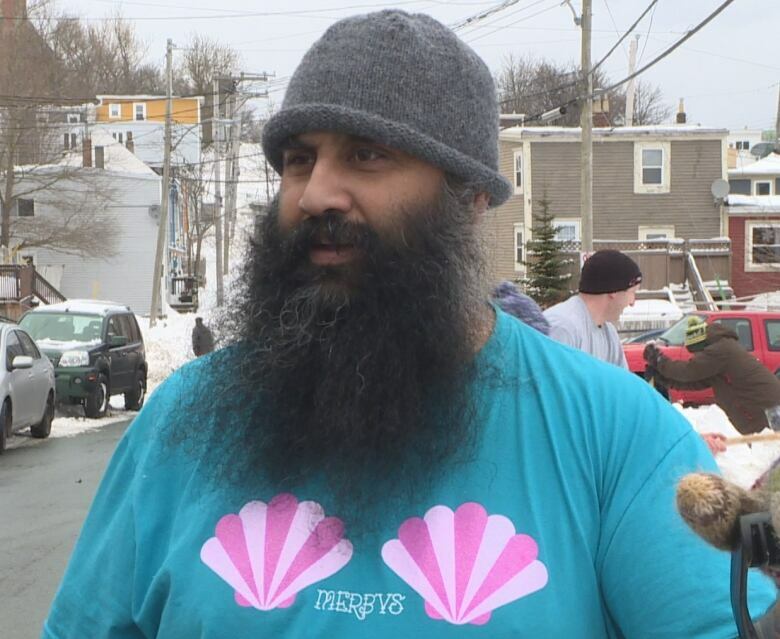 Anything to do to help," said volunteer Mark White. 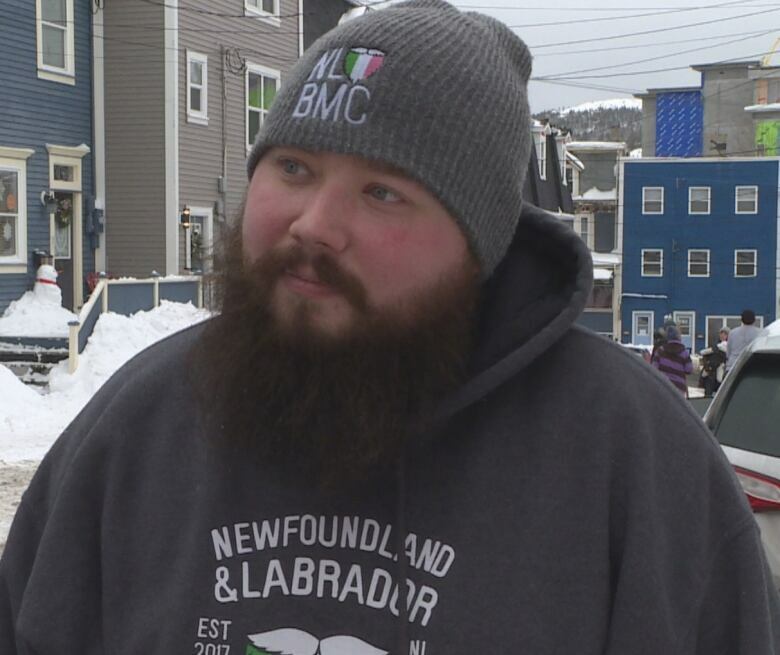 The event was organized by a group called Project Kindness, but White said he and his fellow snow-shovelling Samaritans were joined by a few people who just happened to be passing by. "We had an extra shovel so we passed off the shovel to them and even they jumped in to help us." And that's exactly what Hasan Hai, the founder of Project Kindness, hopes will happen with every good deed the groups organize. "I started doing very small things because I didn't know what impact it could have, I'm just one person. So I did a small thing and then I did a slightly bigger thing and then it grew and grew. And I realized how much potential and how much power I had as just one individual doing things. And then I wanted to help other people realize that as well," he said.